I have 34 years post qualifying experience as a therapist, supervisor and trainer, having worked for many years in the NHS, with Employee Assistance Programmes, educational and social service organisations as well as in my independent practice. Based in Trumpington, Cambridge, in a spacious and peaceful setting, I offer therapy that is tailored to each individual’s differing needs. My approach draws on Humanistic/Adlerian Psychology, where encouragement, hope and a collaborative relationship is at its heart. I have 30 years experience as a supervisor, and gained an MA with Distinction, in Supervision, Training and Research from the University of Birmingham. 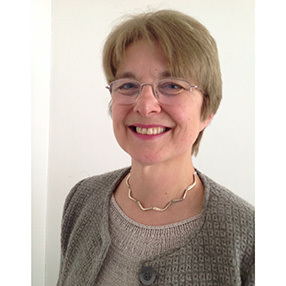 I am a co-founder of Cambridge Supervision Training, www.cambridgesupervisiontraining.com which offers Diploma level training and CPD, and am also regularly invited to offer workshops in Supervision, and Therapist Self-Care both in the UK and internationally. Working integratively, and offering a balance between support and challenge is fundamental to my approach, with encouragement as the containing frame. I have experience working with supervisees in many different settings including counselling charities, University counselling services, coaches, trainees, senior managers of organisations, and medical personnel. A restorative and relational approach is important to me.